I am always eager to try what deodorant may suit me best. That is why I am happy to see this on my BDJ Box that I opened last July. Unboxing post here. This is the third deodorant spray that I tried, the first one is from Fairness and Flawless then the Belo. Fariness and Flawless Deodorant Spray link here while the Belo Deodorant spray link here. Both products differ on its target use. 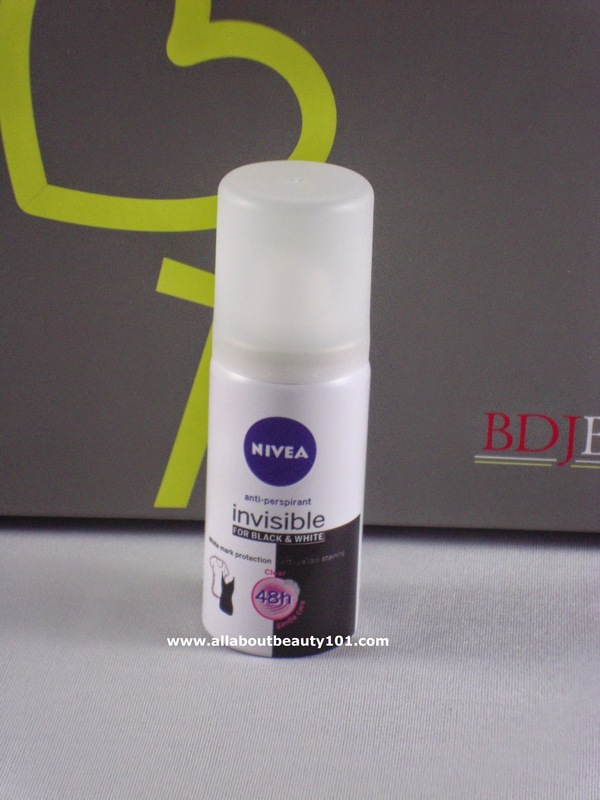 Now, I am reviewing this Nivea deodorant spray that I got. How to use: Shake well before use. Hold can 15cm from the underarm and spray. Allow product to dry completely before getting dressed. Product Precaution from Nivea: Bottle is extremely flammable. Protect from sunlight and do not expose to temperatures exceding 50 degrees Celsius. Do not pierce or burn even after use. Use exclusively for the intended purpose. Do not spray into eyes. Do not apply to irritated or damaged skin. Do not spray on naked flame or any incandescent material. Keep away from sources of ignition - No smoking. Keep out of children. Avoid direct inhalation. Empty can before recycling.